"Sn@p! 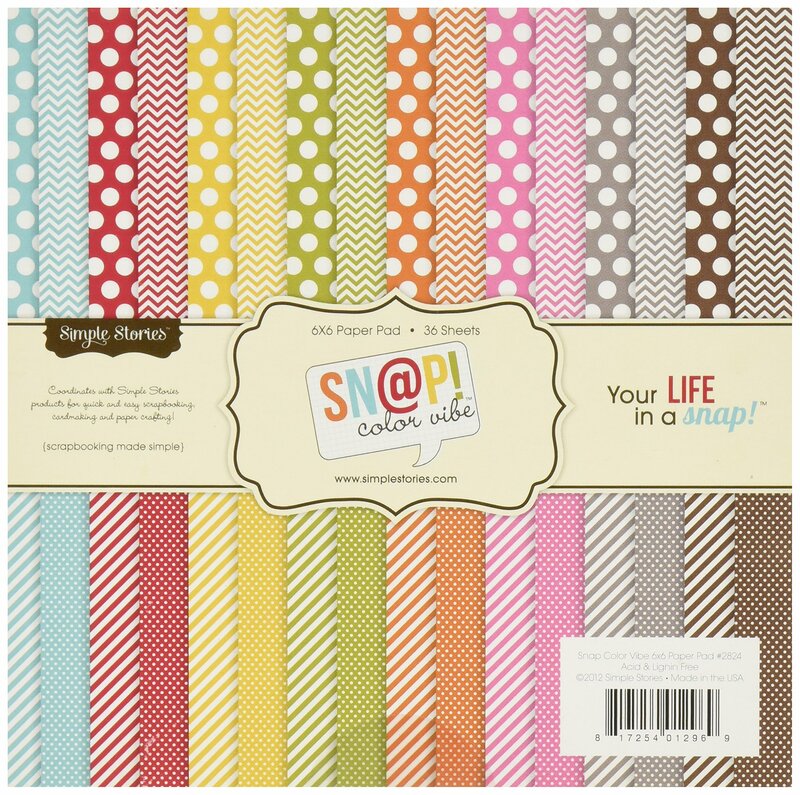 Color Vibe Collection Paper Pad 6""X6"" 36 Sheets-"
Package Quantity: 1 SIMPLE STORIES: Sn@p! Color Vibe Paper Pad. This pad contains thirty-sixsheets of 6x6 inch single-sided scrapbooking paper (two each of eighteendesigns). Acid and lignin free. Made in USA.